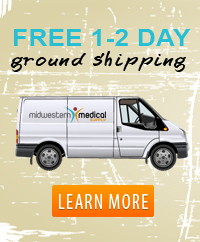 Midwestern Medical Supply is a family owned and operated wholesale company committed to providing outstanding customer service and the fastest FREE shipping of Medical Equipment and Medical Supplies on the Internet, Guaranteed. We have over 25 years of combined experience in the Medical Field that we insure will allow us to provide our customers with the right advice and the best recommendation on any and all of our Medical Equipment and Supplies. Our customer satisfaction guarantee allows our customer to shop with confidence knowing that we truly are the cheapest Medical Wholesaler on the Internet today. Over the past decade we have operated as a Nationwide Wholesale Supplier delivering goods to Businesses and Facilities across the United States. Recently we have made the transition to selling all of our product lines to the national public, while keeping our same low wholesale price on all of our goods. What this means is that YOU pay the same that all of our hundreds of Medical Dealers, Hospitals, and other Facilities have paid for years. We also ship 95% of our inventory from 21 separate distribution centers strategically located all throughout the country. What this does is allows us to ship nearly every product FedEx and UPS ground FREE and they will still reach our customers in 1-2 business days (excludes some Freight Items). Not only will you receive the absolute cheapest price online guaranteed, you will also receive the order FASTER than any other website can offer with the standard FREE shipping. Please feel free to contact us at 1-800-274-9377 if you have any questions or concerns about our products or policies. 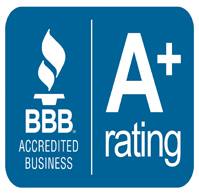 We pride ourselves on outstanding Customer Service and our Lowest Price Guarantee (We will never get beat on price or delivery) so please call us and put us to the test!